The GMP Testing Activity is licensed by Health Canada (DEL #102173-A) to test active pharmaceutical ingredients (APIs) using nuclear magnetic resonance (NMR) spectroscopy and mass spectrometry (MS). Please contact us for more information. Each member of the high-performance team has defined roles and responsibilities. Team members are engaged in continuing education programs in both GMP and Health & Safety. The qualifications of all analytical instruments and their associated computer systems are documented. Data are archived immediately and stored safely. Standard Operating Procedures (SOPs) define and document all processes. 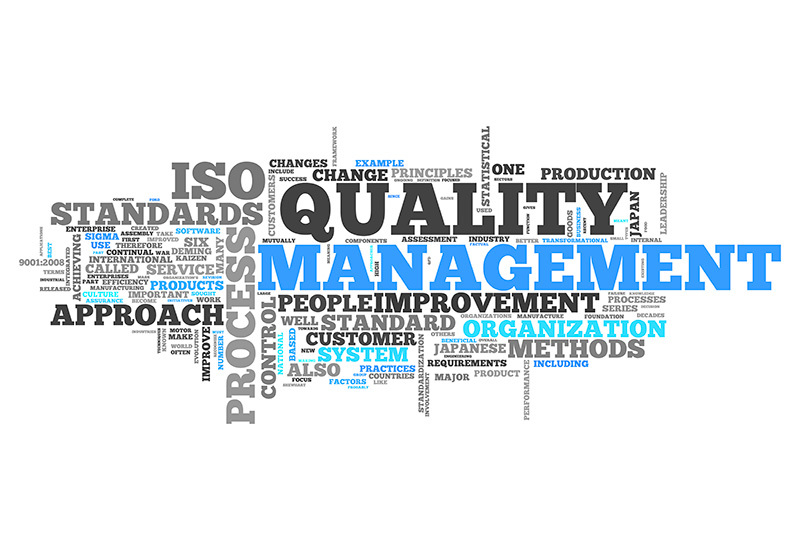 Processes are monitored continuously and improved through change control. We welcome audits by our existing and potential clients, in addition to normal regulatory audits by inspectors from Health Canada. 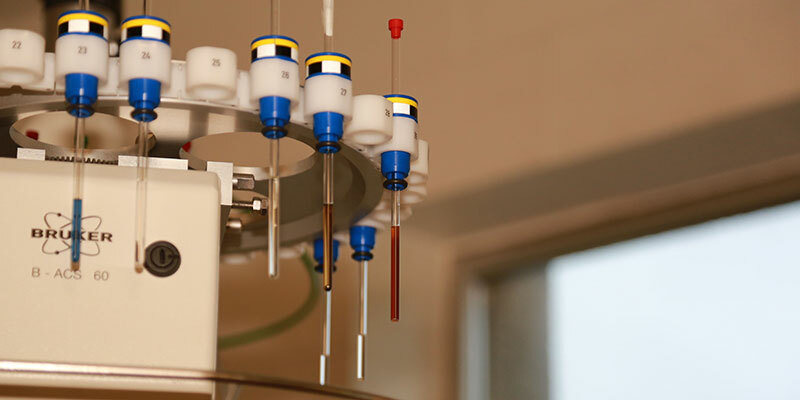 Nuclear magnetic resonance spectroscopy and mass spectrometry are used for identification, assay, and impurity testing of active pharmaceutical ingredients (APIs), and for qualification of reference standards. The testing activities are organized to comply with the Food and Drugs Act and Food and Drug Regulations (Part C, Divisions 1A and 2) in accordance with established GMP guidelines for APIs. Our Quality Management System, based on the principles of the ISO 9000 family of standards, ensures GMP compliance and provides quality assurance and control. The core processes for quality assurance and control, from receipt of samples to dissemination of test results, are documented by SOPs. We establish Quality Agreements with our clients prior to any work. With the Agreement in place, we develop and validate analytical test method(s) with the client. 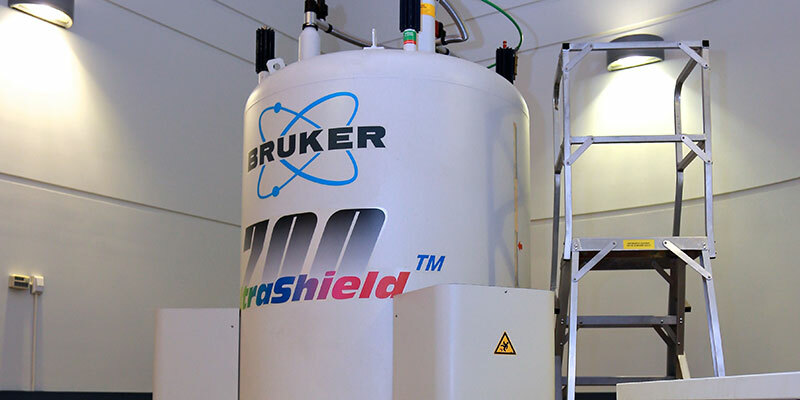 Nuclear Magnetic Resonance (NMR) spectroscopy is a non-destructive technique that helps to identify or confirm molecular structure, and gives information about relative composition and/or quantitative analyses of mixtures. Applications of this technique under GMP include: qualifying reference standards, producing or confirming a Certificate of Analysis (C of A) and confirming molecular structure. Our team of expert spectroscopists ensures that all GMP quality standards are met at all times. 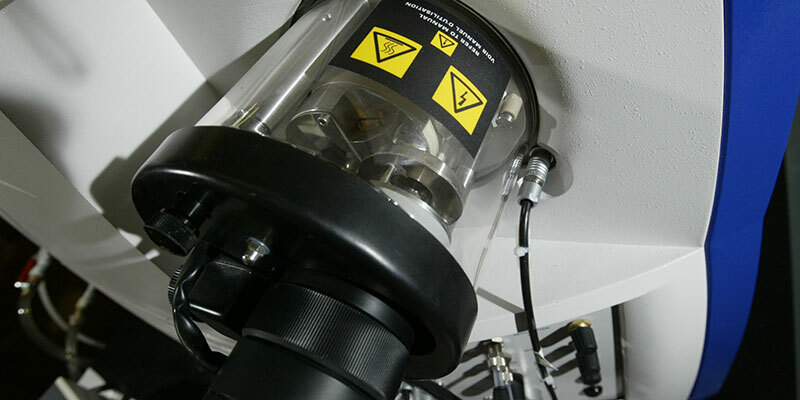 The GMP NMR Laboratory houses two high-field spectrometers (600 and 700 MHz) with multinuclear capabilities, including: 1H, 13C, 11B, 15N, 29Si, 31P and 195Pt. Typical one-dimensional experiments, including 1D-NOE experiments, are available. As well, 2D techniques such as COSY, HSQC, HMBC (and others) are used, as necessary, to complete structural elucidation. Typically, we require at least ten milligrams of compound for full analysis, although this can be adjusted depending on compound availability. 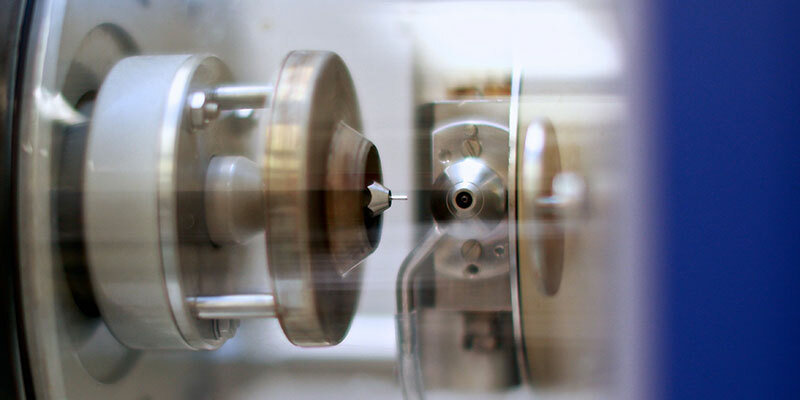 Electrospray Mass Spectrometry (ES-MS) is a "soft" mass spectrometry technique that confirms the molecular weights of active pharmaceutical ingredients. In ES, or ESI, an aerosol of the target molecule is produced when its solution is sprayed at a high voltage. This experiment yields mainly molecular ions (hence the “soft” descriptor), and it is especially useful for molecular weight determinations. Typically, each experiment requires milligram quantities of material. Applications of this technique under GMP include: qualifying reference standards, producing or confirming a Certificate of Analysis (C of A) and confirming molecular structure. The GMP-MS Laboratory houses an ESI-triple quadrupole mass spectrometer; our team of experts ensures that all GMP quality standards are met at all times.